Floating Live Nets by Delta. 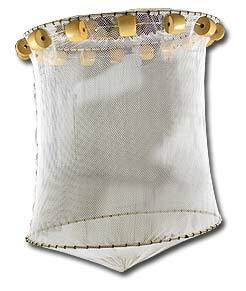 Our Floating Live Nets have approximately 8” skirts around top to keep fish from jumping out. Net capacity shown is approximately 3/4 full.